saya is the night revival to rejuvenate and heal skin while you sleep. This formula was created to soothe and nourish your skin in the evenings for a renewed look in the morning. With resynchronizing properties working to reverse the effects of time, grapefruit and Indian jasmine are the perfect balancing ingredients to add to your skincare routine. These bags are handmade in India, by very strong women seeking a better life for themselves and their families. *The time is dependent on daily use. **This gift cannot be combined with any other offers or discounts. 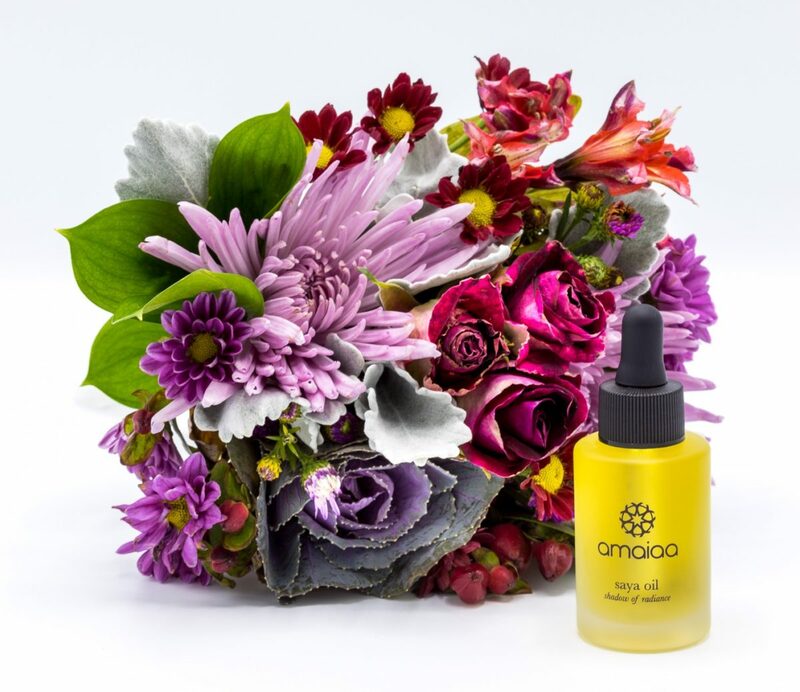 Our saya facial elixir combines the best oils that nature has to offer, giving you a natural moisturizer that contains many vitamins and nutrients essential for nourishing, hydrating and restoring skin to a luminous glow, while smoothing and reducing the appearance of wrinkles and fine lines as well as healing skin imperfections. As you get your beauty sleep, the rich antioxidants and flavonoids in saya’s luxurious formula promotes healing from the inside out. Skin is beautifully repaired, renewed and revitalized, revealing a gorgeous and naturally clear complexion. Want a radiant glow without harmful chemicals? Amino acids and vital nutrients containing high levels of vitamins A, B2, D, K, and potassium promotes skin restoration as it improves and evens out skin tone, leaving your skin looking exquisite. Our unique formula compliments all skin types, including oily, dry, combination, normal, and sensitive. Vitamin E, known for its natural healing properties, promotes a flawless complexion. Vitamin A contains retinoids that encourage the regeneration of new skin cells, giving you a fresh, natural glow. Omega 3s offer the best anti-inflammatory qualities in all of nature and are beneficial for the prevention and healing of acne and acne scarring. The word saya translates to ‘shadow’ in the ancient indian sanskrit language. 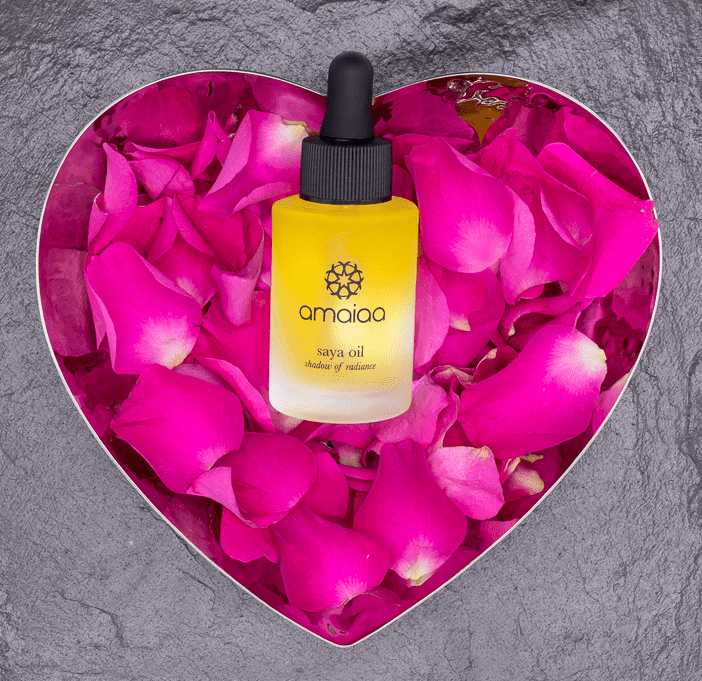 Shadow of radiance is the sister oil to atma, working to restore your skin at night, so you awaken to a radiant, illuminating glow. You deserve naturally glamorous, healthy skin. 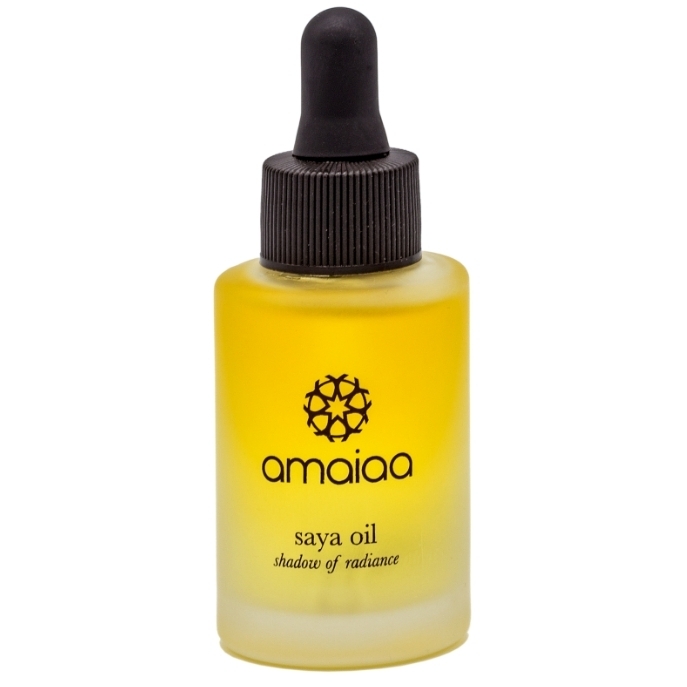 Pamper yourself with the many luxurious and medicinal oils found in nature by using saya oil facial elixir each night. Begin your beautiful journey to better skin today. Have additional questions? Chat with us! Absolutely LOVED this product! 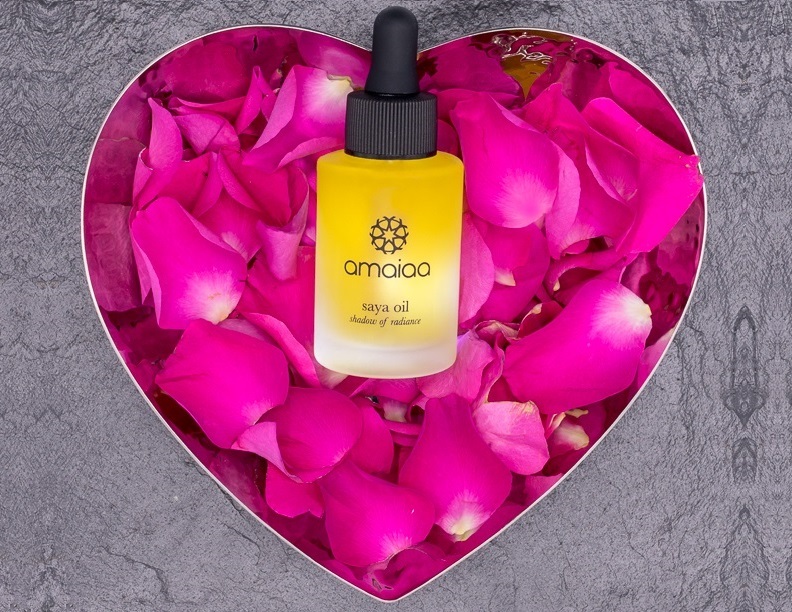 I have been looking for the perfect facial oil for the longest time, and finally found it. Saya is not heavy on my skin or irritating. It smells amazing and has reduced my blemishes since I started using it. This is a MUST buy! This oil is amazing!! I used to have a lot of redness in my skin. After using saya oil for a few weeks, my skin is much more even toned with no redness! I also love that the ingredients are all natural. 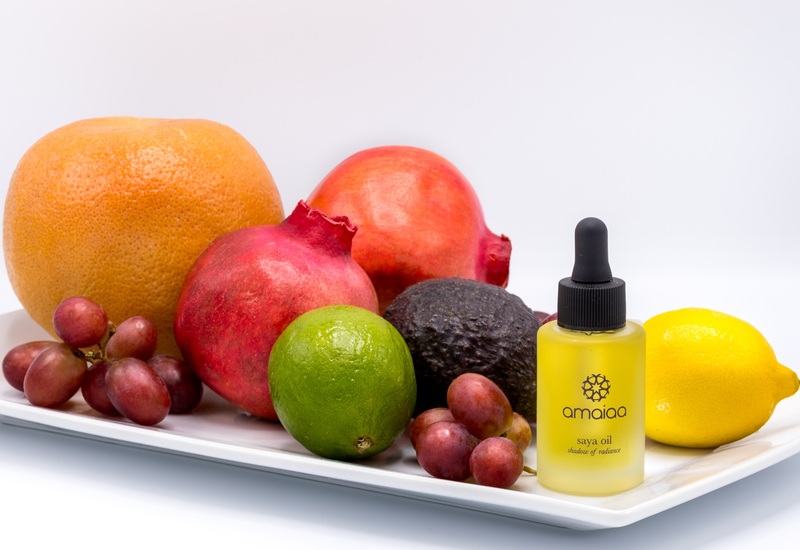 Great facial oil. It absorbs quickly and my skin is so hydrated and soft in the morning. I love this facial elixir! Since using it, my skin tone is more even and I’ve had less breakouts. I recommend to everyone! I love this product! My skin feels so moisturized and soft in the morning, and the smell is amazing. Also LOVE that the ingredients are all natural and plant based! Makes my nighttime routine so much faster! Super hydrating and helped reduce some scarring. I don’t consider myself a product junkie, I’ve always used the same products on my face. 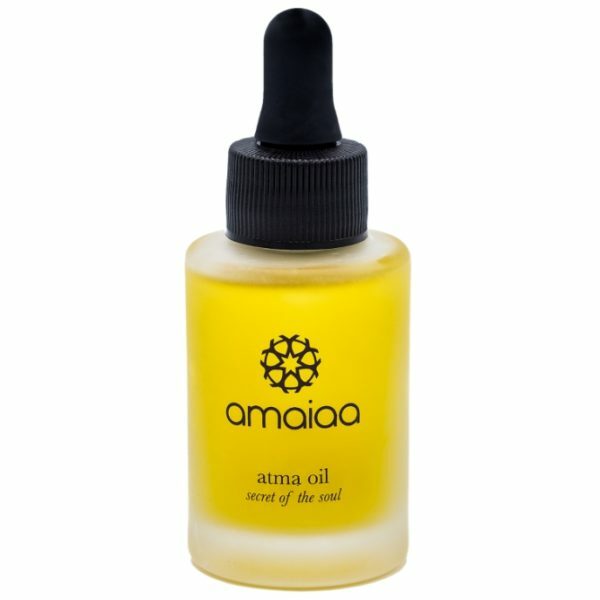 My sister told me about amaiaa and gave me this oil for my birthday. This is such a great product for people like me that don’t have the time or patience for multiple products. Great for hydrating and natural anti-aging. LOVE THIS OIL . Told all my girlfriends about it! New favorite beauty product. Totally recommend it! After many years of hunting for an oil that would help with my redness and itchy patches I finally found it Saya oil is amazing. Skin is clear and radiant!! I highly recommend it!!!!! We are pleased to provide free shipping on all orders over $50. Most orders are shipped within 3-10 days for delivery based on recipient location. For urgent orders, please contact us at letschat@amaiaa.com or call 1-609-619-0791 and we will be happy to review expedited options with you! If you would like to exchange or return an item purchased on amaiaa.com, please contact us at 1-609-619-0791 or letschat@amaiaa.com to initiate the process. We are not responsible for returns lost in transit or that have not been communicated to our team. Please safely pack up your return or exchange to send back. Pack the return in the same box you received it and include the reason for the exchange on the invoice. We will process the full refund or exchange upon receiving your package. This typically takes 5-7 business days. 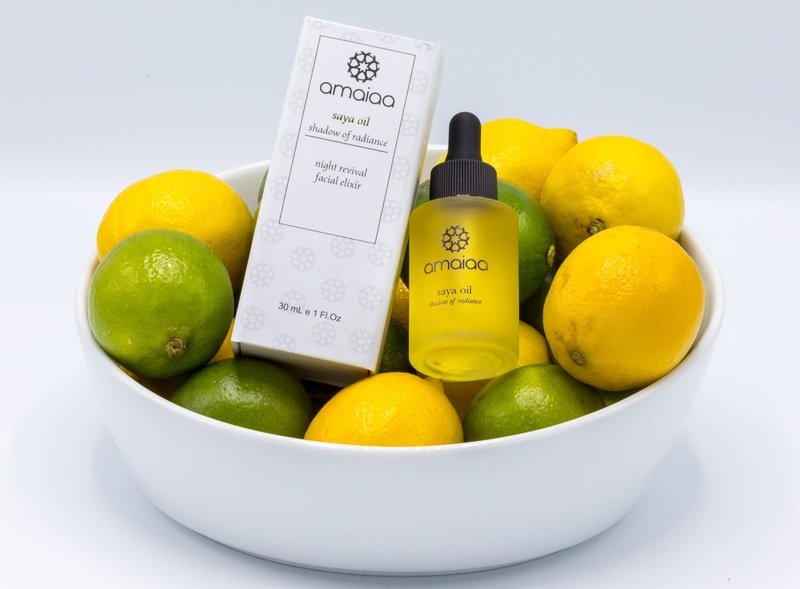 At amaiaa, we aspire to provide you with the highest levels of satisfaction from all our products. We want you to shop with confidence, knowing that our awesome customer service is here to answer all of your questions, and to exchange or return any products that may not be working out as you had hoped.